Ann Pibal is a painter who creates geometric, abstract paintings with acrylic and aluminum. She creates very active and small paintings with the use of just lines and shapes. She received her B.A from St. Olaf College and her M.F.A from the University of Iowa. Pibal has earned several awards including the NYFA Fellowship Painting Grant, the American Academy of Arts and Letters, and the Rapport Prize. She has shown in various galleries and museums across throughout the East Coast and the Midwest. 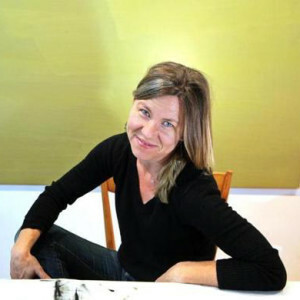 Her work has been reviewed by the New York Times, Art in America, ArtForum, and many more. Pibal currently lives in Vermont and has a home in Brooklyn, NY.